Sports reporters & fans alike have been gorging themselves on an all-you-can-eat Bron Bron buffet since those 3 words were published by Sports Illustrated two weeks ago. The best article I’ve read on the subject was God Loves Cleveland by ESPN basketball savant Bill Simmons. Simmons compares LeBron to other basketball geniuses – Larry Legend, Magic and the G.O.A.T. – the Greatest of All-Time, Michael Jordan. The Simmons stories in the article illustrate MJ’s relentlessness. How he pushed his teammates. Over the arc of his career, MJ constantly improved his game year over year over year. 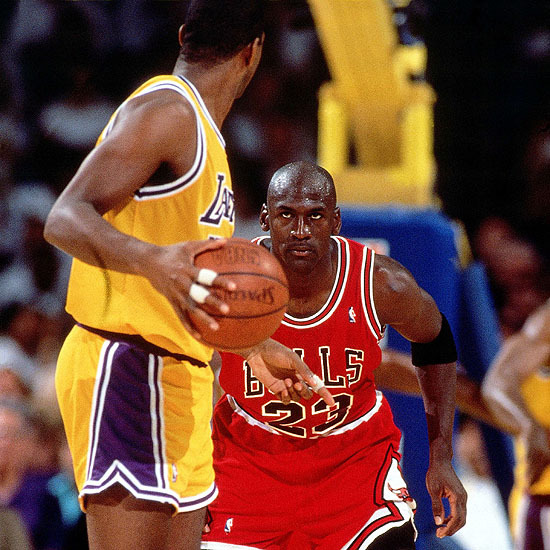 MJ had the killer instinct – the mind to narrow in on a weakness and attack it until it became a strength. As a rookie, they said all MJ could do was run and dunk. So he worked on his mid-range jumper until it became deadly. They said he was Offense-only, solely concerned about scoring titles. So he became the best defensive player in the game. Jordan wasn’t a Strengthsfinder 2.0 type of guy. No, he was a Weaknesshunter with no kill switch, an ego the size of North Carolina and a memory that would make an elephant jealous. Jordan’s maniacal determination – his killer instinct – to improve is something to consider when evaluating your own career. I frequently meet construction professionals who want to convert their communication weakness – not being able to lead and manage Spanish-speakers on the job – into a strength. They ask how hard it is to learn Spanish. With Red Angle’s method & tools, I tell them, the learning is easy. But there’s a better question. How committed are you to speaking Spanish? Red Angle will give you the best tools to work with. We’ll help you on your journey. We’ll be the best damn sherpas on the montaña. The construction industry right now has a killer instinct (albeit a negative one): the instinct to ignore our common practice of killing Hispanic workers. Hispanics are disproportionately more likely to be injured or killed on the job. English-speaking managers don’t communicate with Hispanics. Nor do they understand the cultural paradigms driving Hispanic behavior. That’s the construction industry killer instinct: the instinct to ignore our fatal Hispanic flaw. The industry understands the importance of communication. The industry understands the importance of the Hispanic workforce. But the construction industry doesn’t make things happen – individuals do. We need more individuals – more leaders – to mimic Jordan’s killer instinct. To identify their greatest weakness and work on it until it’s a strength. Do you have MJ’s killer instinct? The desire to become the best leader you can possibly be? 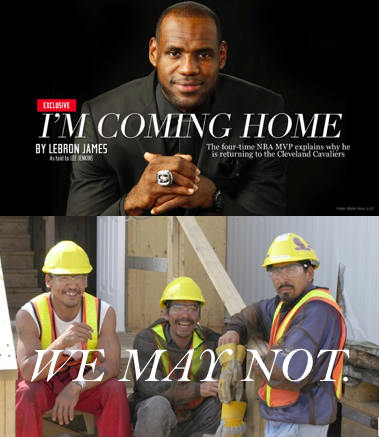 Because at the end of every shift, every worker – cada obrero – deserves to share the same sentiments as LeBron. ‹ Getting back on the wagon: 3 tips to start speaking Spanish again.